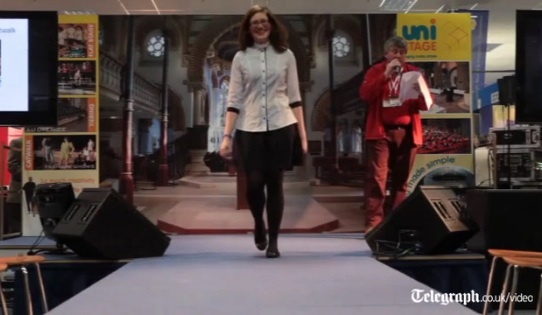 TORONTO CATHOLIC WITNESS: Colourful "Clergy" strut on the Catwalk??! 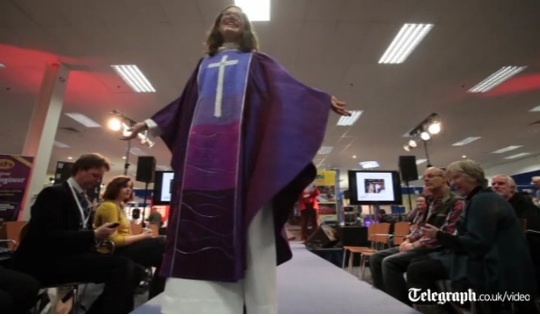 Colourful "Clergy" strut on the Catwalk??! Alleluia! - Now, worship me! 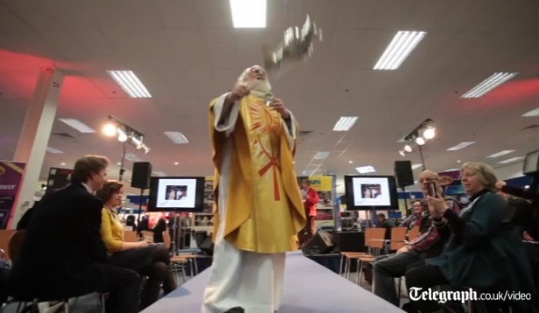 Just when I began to believe that Fr. Aidan McNutty was a figment of my imagination, a report in the Daily Telegraph carries hope that I might yet be reprieved from any possible accusation of an overactive organ within my cranial aperture. 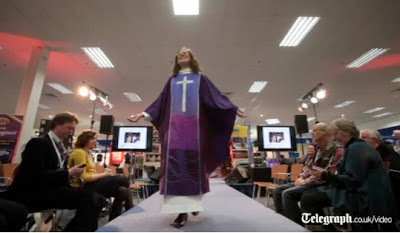 The Daily Telegraph carries the latest in Anglican church attire; especially for female clergypersons. Apparently, these female parsonesses do not take too kindly to the traditional black garb, and desire more colourful and luxurious ware. confessional box to hear someone's "confession"? 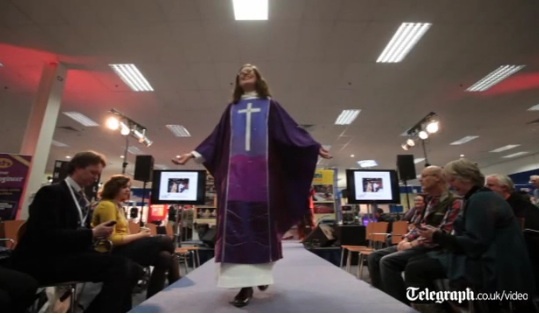 The Telegraph reports that these persons modeling the attire are indeed members of the Anglican "clergy". I love your adulation so much, I'm back again! All still shots courtesy The Daily Telegraph, 2013. I remember attending a showing of Fellini's Roma with some friends. 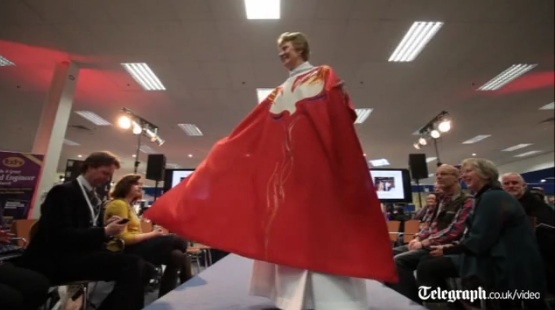 We had been arguing about church vestments and during the ecclesiastical fashion show segment my friend leaned over and said "I rest my case." This is not a figment of your imagination but Fellini's, who managed to pull it off much more successfully than these twits.